StartsidaProphecyBritish Prophecy(1871) Foretells The Future Fall And Rise Of Britain… 2017-08-03.. 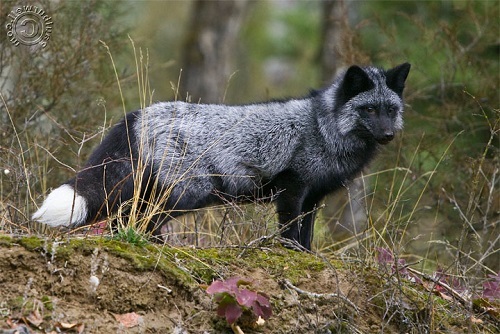 This prophecy is a story from 1871 told by a hunter meeting a silver fox with supernormal powers in the forest. The fox tells the hunter about the future fall and rise of the UK. Astonishingly we can see that his comprehensive description of modern life in the UK have all come true today with mass migration, feminism, corrupt rulers and the death of families, military, religion and virtues. All that counts today is money and trade as is predicted here. The satanism of the ”Golden Calf” will be cast down after the disaster according to this prophecy. This is a very clear and serious message to modern people that we have satanists running our world today. The prophecy has high hopes for the UK since it predicts that suddenly there will be new Sons of the UK who will take back their country and reinstate all the good old traditions, a new upright religion and all the virtues of the past. He listened for a sound. Is but a huntsman lost. A fire could never die. For all my tribe by fate. Or slain by fellon gun. The shadow of the wall. The gilded voice of Gaul. In farmhouse or in hall. Cry, ‘Peace!-lo! All is well’. In triumph in the breeze. Said naught but shook his head. Master Tailor, Member of Parliament, Speaker of The House of Commons.